You are here: Home / MAD Projects / D.R.A.W. / Costumes and Cosplay Inspire Artists at The D.R.A.W. Dynamic line drawings and watercolor paintings of models in superhero, mermaid, and anime costumes, produced by the Costumed Drawing program at The Department of Regional Art Workers (The D.R.A.W. ), were one of the highlights of this year’s Art Walk. 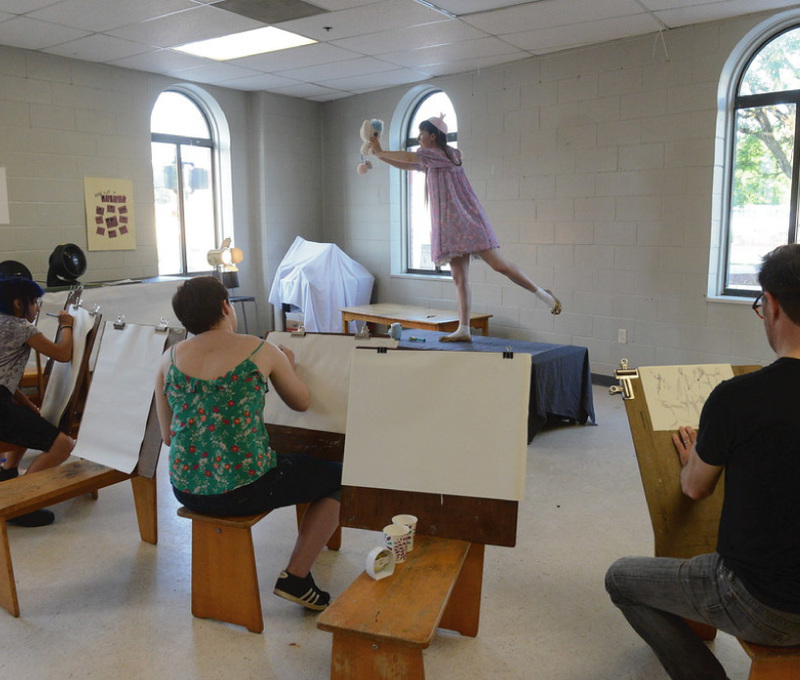 Rebecca Hellard, the facilitator of the program, developed this distinctive workshop for Midtown Kingston, which offers classes, studio space, mentoring assistance, and exhibition space for their work. 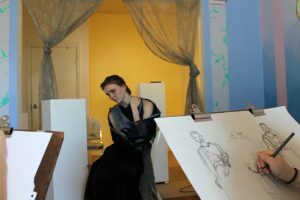 The program is an opportunity for intergenerational participants representing all levels of experience to practice life drawing with a unique twist. “Art was a compulsion I couldn’t do without…no matter where life took me it was always going to be there,” Hellard said. An art student throughout high school, mentored by former Kingston High School art teacher and current executive director of The D.R.A.W. Lara Giordano, Hellard completed her fine arts degree at SUNY New Paltz in 2016. Using watercolors, graphite, and oil paint, Hellard creates representational work with a minimalist touch. Extracting the essentials of a figure, using as few lines as possible, her work is whimsical. Much of it rejects abstraction, which she feels displays a “disconnection of the human experience, something sort of harsh and sterile.” Instead, she aims to capture the human condition through spontaneity and a tender restraint. Hellard maintains a studio in Glasco and continues to develop programs and workshop ideas for The D.R.A.W. Moving forward, she plans to add fabric backdrops for the models, creating full scenes, thereby implementing more teaching moments. The Costumed Drawing program has been a great learning experience and inspiration for Hellard, who aspires to be a mentor much as Giordano continues to be for her. Hellard provides the tools to help artists of all ages tease out ideas. “It’s easy for a student to feel aimless,” she said. “Mentors are so important in [a student’s] development, to give them a foundation to start building their own practice.” In guiding students to incorporate their lived experiences into their work, Hellard helps them develop their art while supplying them with the resources they need to network within their community. Everybody is welcome to attend the weekly Costumed Drawing sessions. All ages and skill levels accepted. 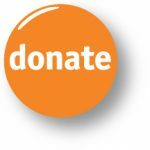 The fee is $10 per person and all supplies are provided. Come join us on Tuesdays from 6:30-8:30 pm! For more information, visit www.drawkingston.org.